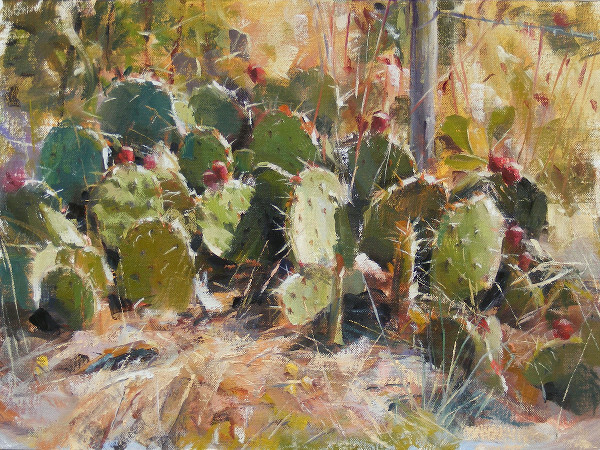 Please join us as we welcome Outdoor Painters Society signature member Ted Clemens back to Waxahachie. Ted is a long-time friend of ECAA and has won numerous awards in Paint Historic Waxahachie, including Best in Show and 1st place. He will demonstrate his oil painting process as well as enlightening us with some of his keen insights on his approach. "You may find that artists have lots of thoughts. Even profound ones. Romantically imagined as shared with writers, poets and fellow artists at coffee houses; I think the pondering comes from standing long periods of time in front of an easel. Below are some of the things I've observed over the years, both artistic and spiritual. For better or worse, there's a strong connection between what an artist paints and what he believes.